Harry Rotter is an average 11 year old walker who has lived with the Peletier family ever since his parents died from a bullet to the head. For some reason the family has always mistreated him though. On his 11th birthday a giant Walker named Rubeus Harvest hands him a letter telling him that he has been accepted as a student at the Alexandria School of Walkers and Bloodardry. 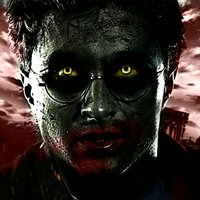 Harry Rotter learns that his parents were walkers and were killed by an evil survivor named Rick, a truth that was hidden from him all these years. He embarks for his new life as a student, gathering two good friends Ron Wheezes and Hermione Grab-her along the way. They soon learn that something very valuable is hidden somewhere inside the school and Rick is very anxious to lay his hands on it. 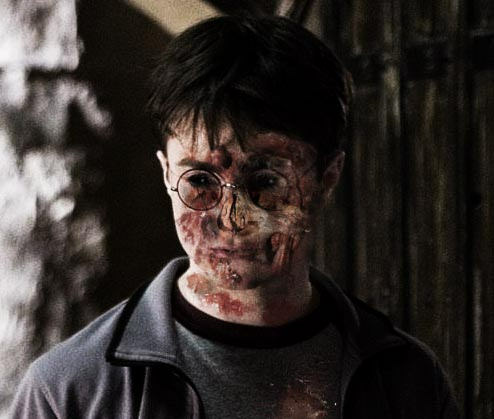 Harry Rotter is in his second year of Alexandria School of Walkers and Bloodardry. He is visited by a house-walker named Deady and warned not to go back to Alexandria. Harry Rotter ignores his warning, and returns. He is still famous, although still disliked by Daryl, Maggie, and members of the Savior Camp. But then, strange things start to happen. Survivors are becoming walkers, and no-one knows what is doing it. Harry Rotter keeps hearing a voice.. a voice which seems to be coming from within the walls around Alexandria. They are told the story of the Chamber of Death. It is said that only Negans true descendant will be able to open it. Harry Rotter, it turns out, is a human-tongue. This means that he is able to speak/understand living survivors. Everyone thinks that it's him that has opened the Chamber of Death because that is what Negan was famous for. Harry's fourth year at Alexandria is about to start and he is enjoying the summer vacation with his friends. They get the tickets to The Siege World Cup Final but after the match is over, people dressed like Rick’s 'Walker Killers' set a fire to all the visitors' tents, coupled with the appearance of Rick’s motto, the 'Never give up, Never Surrender' in the sky, which causes a frenzy across the Walker community. That same year, Alexandria is hosting 'The Triwalker Tournament', a bloody tournament between three well-known schools of walkers : Alexandria, Hilltop and Sanctuary. 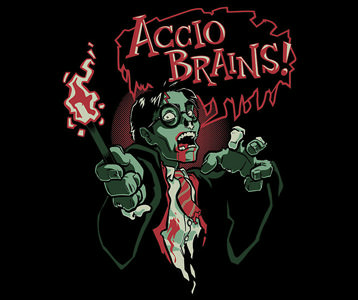 The contestants have to be above the age of 17, and are chosen by a rotted object called Goblet of Brains. 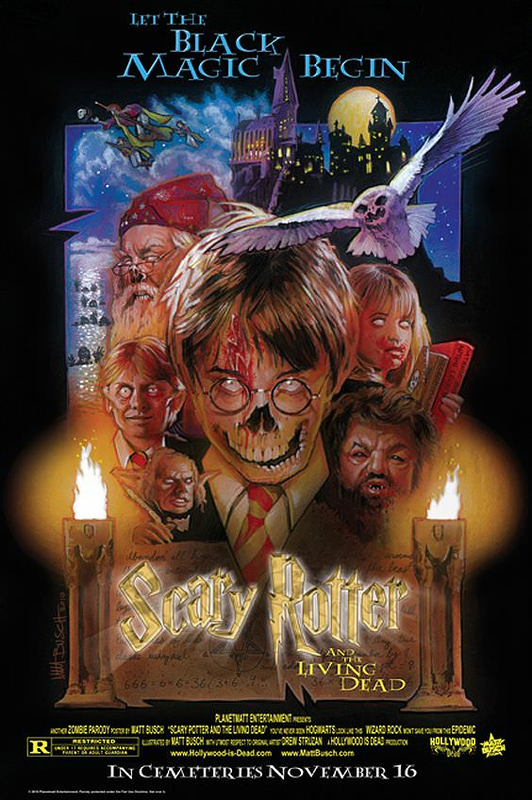 On the night of selection, however, the Goblet spews out four names instead of the usual three, with Harry Rotter unwittingly being selected as the Fourth Champion. Since the Goblet cannot be reversed, Rotter is forced to go with it and brave three exceedingly difficult tasks. And that does it for this weeks Walker Twister. I know what your thinking..”Thats not all the HP movies!” Don’t worry this is only part one! Next week I will be finishing up the rest of the series and also add an extra movie into the mix. I will give you a hint: There may be some BEASTLY walkers around here. Stay tuned for that! And comment below what movie or book YOU would like to see get walkerfied!